Boxes, Babies, Beans and Bras – a ghostsigns trail of still-visible decades-old signage above and around the Regents Canal in Islington. Wharves, Waterways and Windmills – a 2hr circular route from City Road Basin, following the borough border between Islington and Hackney, looking at how the canal has evolved from a busy, noisy, no-go dockside to a desireable place to live, work and relax. All three tours are a great way to learn about local and social history and architecture and advertising. For more info on all my walking tours just click here. Ghostsigns of Kentish Town which, though it won't showcase as many impressive signs size-wise, has some small gems and fascinating stories behind the signs. Parks, Pubs and Pianos is a walk from Caledonian Road station to Kentish Town about (er) parks, pubs and pianos. There are some very impressive 1930s "Jazz Age" buildings in EC1 and E1 in the form of shop fronts, factories, municipal buildings and office blocks. I have devised two 90-minute tours which both show off a variety of styles from this era. 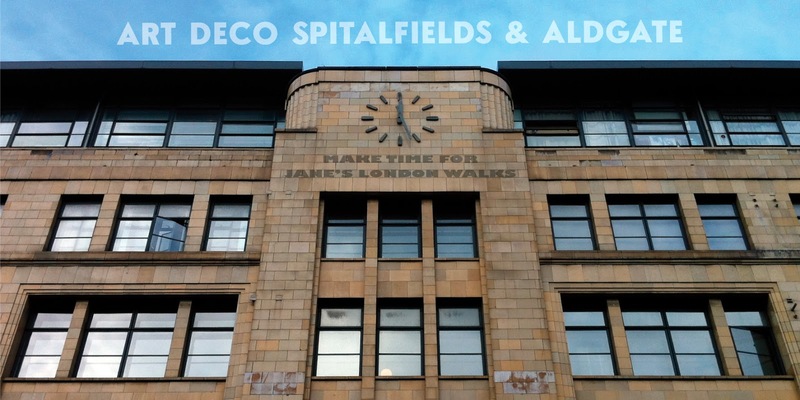 The Spitalfields walk in particular has some spectacular façades – it's hard to believe people walk past them without noticing! As per my other walks on this theme, these tours are not just about the advertisements and how they were painted. I use these old faded signs to talk about the changing social history of the area and the often intriguing stories behind the bygone products and businesses. On this walk you'll find out about the diverse history of this area of NW1 before the tat sellers and big brands arrived. This is a work in progress and will be available very soon. We will follow a trail of old signage from approximately Camden Town Station up to Kentish Town Station (or vice-versa). 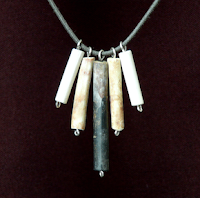 Some of you might already know that I hold a Port of London Authority foreshore licence and make jewellery, accessories and various other arty things from the fragments of clay smoking pipes that I choose from the banks of the River Thames at low tide. Later this year I plan to announce a proper guided walk which will include a visit to the foreshore with time for mudlarking. Please do get in touch if this is something you'd be interested in – if enough people are keen I will move this to the top of my 'To Do' list. Another similar tour is also in the pipeline (see what I did there!) and this will be craft-based, ending in a cafe or similar where attendees get creative and learn how to turn their finds into something useful or wearable. Click here to learn more about my foreshore visits. To keep up to date with new walks and relevant info, please subscribe for updates. This 90-minute tour shows you the inspiration behind the characters created by the Grossmiths Brothers in their amusing little book. See where the Pooters (had they been real) might have lived/shopped/visited etc, putting that into context with this area of 1890s Victorian London. I will be pointing out buildings and references along the way and reading some relevant amusing passages from the book. You don't need to know or have already read the book to enjoy the walk, but I am pretty sure that you will be reading it after the tour! 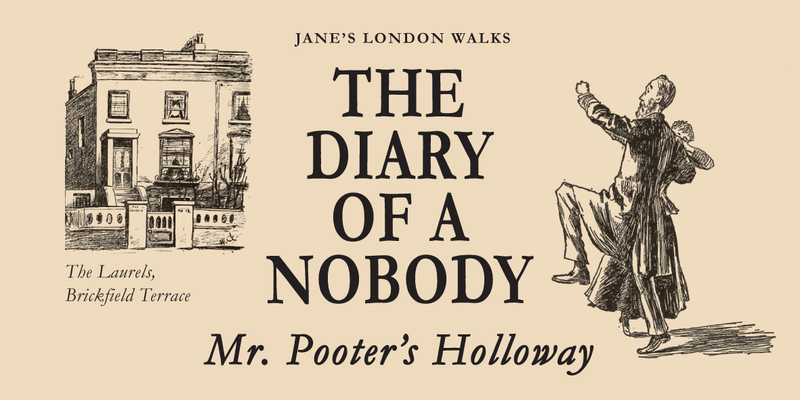 The walk was originally devised as part of Footprints of London Literary Festival in Oct2018* but will now continue to be a fixture on my schedules. 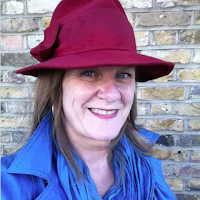 For literary fans – why not join me on my Limericks and Limericks, Fantasy and Fraud tour around Holloway showcasing the diverse range of poets, playwrights, diarists and lyricists who are linked to this area. *The yearly LitFest offers at least one literary-themed walk a day – like a walking book club, taking people out onto the streets of London on guided walks researched, written and led by enthusiastic, experienced, professional guides. You might have seen the marvellous leaflets I designed for 2017! I am the designated tour guide for Hidden Depths. 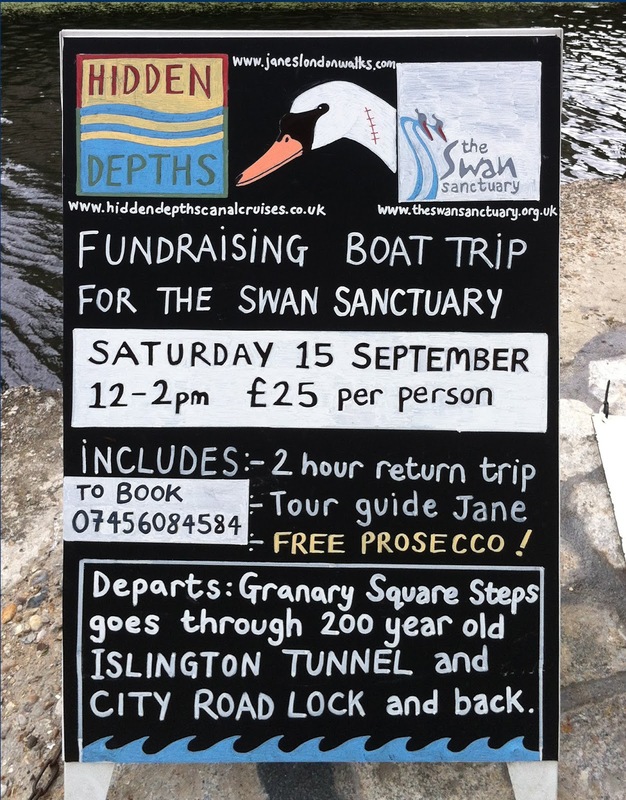 Thanks to everyone who came along to our Save The Swans event and made this such an enjoyable day. It was a lovely surprise to see a few good friends too!! 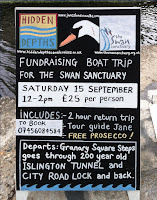 We raised approx £1000 to care for birds injured on our waterways. More fundraisers coming soon – Please contact Hidden Depths on the number within the pic to register your interest. Some of my photographs are available as greeting cards, prints and posters. Most of the images are from North London but others are available on request. Buy in person at The Only Place For Pictures and Oxfam Bookshop in UpperSt, N1, or from Treehouse giftshop and Oxfam Books and Music in Crouch End. Buy online through my Etsy shop.